Chisinau – Moldova's capital city, crowded, noisy, but very comfortable and interesting. It is considered to be a multi-ethnic, and cultural center of the country. Besides going-over cultural and historical attractions of Chisinau, you can devote time to go shopping. If you like this activity, make sure you will be charmed by souvenir bazaar town. It sells wonderful souvenirs made by Moldovan artists: paintings, icons, embroidery, pottery and ceramic objects, textiles, etc. Many modern shops and European level. 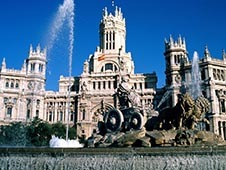 In the capital, are a variety of excursions to the main attractions – parks, museums, architectural and historical monuments, etc. Rent a car at the airport in Chisinau using the site bookingcar.ru, not to spend time on trips to public transport and to organize their own trips for themselves. forbidden to use the mobile device. Common in the country allowable hole alcohol - 0.0 ppm. This means that the consumption of alcohol is strictly prohibited. Exceeding this norm is fraught with deprivation driver's license for a period of 3 to 5 years, as well as additional punishments - a fine, community service. The severity of the punishment depends on the seriousness of the violation, but the driver is deprived of rights in any way. The minimum and maximum penalties - 8000-13000 lei. Park the vehicle in the city is only allowed in designated areas. The presence of parking spaces according to a special road markings (white lines on the pavement) or traditional signs - the white letter P on a blue background. Chisinau has difficulty with ample parking, in addition, many drivers ignore the existing rules of the road and leave the car on the side, etc. Permission to carry fuel with it (canister). We had a wonderful trip along the evening desert while traveling to Dubai. We rented a car at home in advance via the site Bookingcar. We decided to do it due to the peak season of such trips in order not to remain without a car. There were no problems or difficulties in obtaining or returning the car. Everything was perfect!